Not eight, not ten or twelve. Four. Four is a perfect figure. 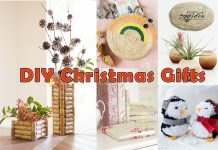 It is a number of gifts that experts recommend for children at Christmas. I already imagine that it is an almost impossible objective. The whole family competes to make the child happy and includes his wishes in his personal letter to the Magi. In the end, the children get together with the gift that their aunt ordered, the one that their uncle ordered, the one that their grandparents asked for, the one that their other grandparents asked for … the ones that they pointed out … And it turns out that they receive so many toys, that they are not able to spend more than a day with one of them. The solution to avoid this embarrassment of toys: the rule of four gifts. What is the rule of the four Christmas gifts? 1. Something that serves to carry (clothes, shoes, accessories …). 3. Something they really want. 4. Something they really need. Of course, it’s about betting on quality versus quantity, a real challenge when it comes to children. Because they evidently feel an unbridled desire to have everything, and if possible, already, at this very moment. But … do you really enjoy every time you receive an avalanche of toys? Do you really value each gift? The answer is No. The more they receive, the more emptiness they feel because they are not able to ‘digest’ such embarrassment. According to the latest studies, children receive ten times more Christmas than they need at Christmas. And it does not happen that despite having dozens of toys saved, in the end, they end up playing with them always? Or maybe creating their own toys with cardboard boxes and cardboard they find at home? The reason is that little by little, faced with so much toy, the children lose the illusion. And with so much encouragement, apathy arrives. Imagine that a day comes when you ask him: What are you going to ask Santa for? And he will answer you: I do not know. Try to never reach that day. Christmas, remember, is not only based on giving away toys. Children are able to see much more than us at this party. 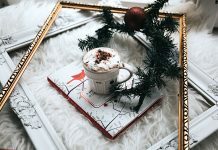 The Christmas carols, the shops decorated with stars and tinsel, the lights, the family reunions, the Christmas sweets … We just need to learn a little of them to enjoy in another way during these days.